The term skinny fat can be confusing – how can someone be skinny and fat at the same time? Well, skinny fat people are those that look skinny in clothes but have high body fat and low muscle mass. So underneath those clothes, they actually look soft and flabby. 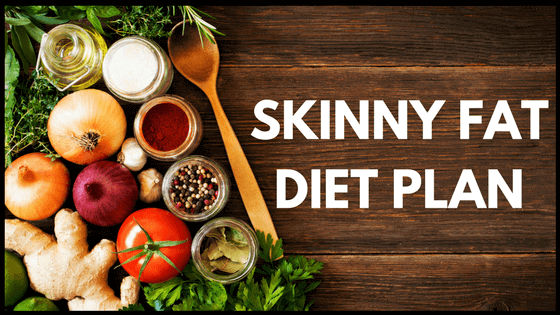 Both men and women can be skinny fat, but I’m just going to focus on skinny fat women in this blog post, and what they need to do to go from skinny fat to fit and toned. 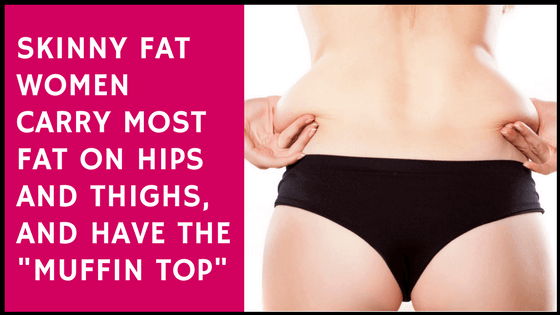 If you are skinny but struggle with fat around your hips and thighs that you can’t seem to get rid of, then you might be skinny fat. WHY AM I SKINNY FAT? I often see the skinny fat syndrome in women who do lots of cardio and don’t do any resistance training because they’re afraid it will make them look bulky. If that’s the case with you, I encourage you to read my blog post on how to do get lean and toned but without getting bulky. The cardio keeps them slim but doesn’t build enough muscle to keep their body fat levels down. As you get older, your metabolism naturally slows down. Building muscle helps to keep your metabolism up and your body fat levels down. Avoiding resistance training can cause the skinny fat look. Eating a poor diet high in carbohydrates and refined foods will also cause you to look skinny fat and store a lot of excess body weight in the mid region. The old golden rule still applies – You can not out train a bad diet! Also, being skinny fat can be a genetic trait, so you can thank your parents for that! If you genetically have this body type, it is not impossible to change. 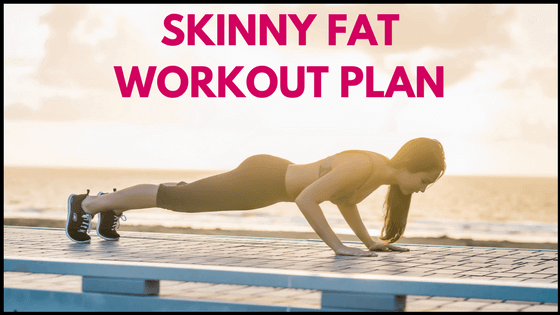 With the right workout program and a good diet, you can become skinny and toned! I should also mention that in some cases, being skinny fat can be caused by a range of health conditions. Those include hypothyroidism, hormone imbalances, certain medications (such as the contraceptive pill and antibiotics), gut health issues, and more. If you have been exercising consistently (both cardio and resistance training) and eating a good diet for a long time, but still can’t seem to lose weight and tone up, then it could be worth seeing a health professional. 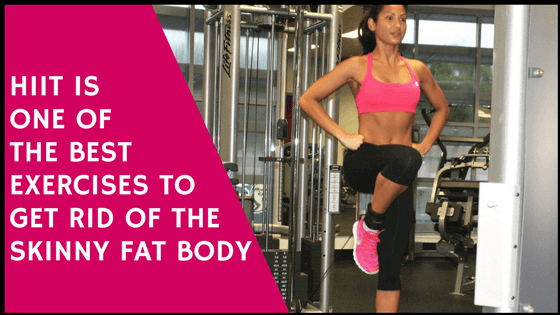 For skinny fat people who want to tone up and lose a bit of excess body fat, you will need to do a combination of resistance training and cardio. As I mentioned above, it’s really important that you don’t neglect resistance training. Building muscle will help boost your metabolism and also reduce your body fat levels. The resistance training should include both a mix of high-intensity interval training (HIIT) and circuits using weights or body weight. HIIT is an awesome exercise for skinny fat people because it burns a really high number of calories in a short period of time. But the best part is, after your HIIT workout, you will continue to burn more calories. HIIT is one of the best exercises to get rid of the skinny fat body. However, another really common complaint I hear from women is that they become too muscular when doing HIIT and lifting weights, particularly in their legs. I have written a blog post on how to lift weights without getting bulky, to help with this exact issue. It has some good guidelines and workout ideas that will help you tone up, without getting bigger and too muscular. If you are already skinny, you don’t necessarily need to do a lot of cardio. But I do recommend it so that you stay slim with all of the HIIT and weight lifting you will be doing. Please have a read of this blog post on cardio and why it’s so important for getting lean legs. I would also recommend you to learn your body type. You see, there are three different body types and they all gain muscle and lose weight differently. I have created a special Body Type Quiz that will help you learn your body type in just 2 minutes and it is completely free. After you solve it you will also get tips on how to eat and train specifically for your body type. The workout program below is only a framework to guide you. If you really want to get started and get results, it is best to have a proper plan to follow. You will be much more likely to stick to it and be consistent if you are able to follow a guide. The workout program in my eBook is great for skinny fat women because the workouts will help you tone up and get rid of your skinny fat body, but without becoming bigger. The link to my program is below. If you are serious about getting results, then it is definitely worth investing time and money into yourself. You don’t need to lift heavy weights – you can use bodyweight only, lighter dumbbells, resistance bands, ankle weights, and gliding discs. Just get those muscles working. Aim for a 30-minute resistance training workout. Also, please have a look at the blog post I mentioned above some guidelines on how to lift weights without getting bulky. As I mentioned, HIIT is amazing for getting rid the skinny fat look, and the workouts don’t need to take long! You can do a great HIIT workout in 20-30 minute. Just be careful not to overdo it on lower body HIIT exercises such as burpees, jump squats, jump lunges, box jumps, etc as they can make your legs overly muscular. I have posted lots of different HIIT workouts that won’t cause bulk, so have a look at these for some workout ideas. If you prefer not to do HIIT (especially endomorph women who may get bigger with HIIT), that’s OK. You can still get great results with full body resistance training, and I would aim for 3 sessions per week in total. High-intensity cardio can include exercises such as running, swimming, dancing, cycling, etc. Do something that you love so that you will actually stick to it! Keep your high-intensity cardio workouts to 20-30 minutes (obviously, if it’s a dance class or spin class, you can go longer). Plus, it’s a great idea to try and fit in as much low-intensity cardio as you can! It’s really important to give your body some time to rest and your muscles to recover. Overtraining can cause you to hold onto excess body fat, so if you feel like your body needs a break, give it one. Diet plays a huge part in your body’s ability to lose weight, so you can’t just rely on a good workout program alone. If you don’t eat a good diet, you won’t get rid of the excess body fat. In general, someone who is skinny fat and looking to lose excess body fat will follow similar guidelines to anyone that is trying to lose body fat. If you’re curious about my diet, you may read about it in details here. You don’t need to do anything fancy with your nutrition. Just cut out the packaged foods (think anything unnatural that comes in a bottle, packet, tin or box), processed foods, fizzy drinks, sugary foods, deep fried food and anything that is “typical” junk food such as cakes and chocolate. I’m not saying that you can never eat it, just try to limit it to a few times per week and keep portion sizes under control! It is becoming more and more well-known now that a diet lower in carbohydrates will help you lose weight quicker. Don’t cut out carbs completely though as your body still needs them and that’s where all the fiber is! You just need to be smart about it. Aim to get most of your carbs from fruit, vegetables, and whole grains. Fruit and starchy vegetables such as potatoes do contain carbohydrates, but they also contain a range of vitamins, minerals, and fiber, which your body needs. I know you probably always hear people talking about fiber and how you should try to eat more of it. But it really does play a huge part in keeping you full and regular. Aim for 2-3 pieces of fruit per day, and at least 5 serves of vegetables. This can be hard to do without consciously thinking about it, so you really need to make the effort. Try to eat vegetables with every single meal and snack to get those 5 serves in. If you have smoothies for breakfast, add some spinach. If you have an omelette, add spinach and other green vegetables. Some of my favourite healthy snacks are carrot sticks and hummus, egg cups made from eggs and vegetables in muffin tins, and whole pieces of fruit. Lunch and dinner are a little easier to eat vegetables. Pack them in as much as you can! 1 cup of vegetables has very little calories in it compared to any other foods so will keep you full, fill you with nutrients and won’t result in weight gain. It can also be hard to drink the required 2l of water per day if you’re not consciously thinking about it. Try recording your water intake for a couple of days to see how much you are actually drinking, and aim for 2-3L per day. This will also help with bloating. One of my favourite tips is to carry a water bottle around with you everywhere you go. It will help you drink more water! Drinking lots of water is also very important and will help with bloating. If you stick to a good workout and nutrition plan you will get results. But you need to be consistent and actually put in the work! Eating healthy for a few days and then binging, going out of for lots of meals, drinking alcohol or skipping workouts, will set you back. You need to be consistent! If you need help with a plan, or you don’t know where to start with resistance training, or you tend to get bulky when you lift weights, then my program is perfect for you! 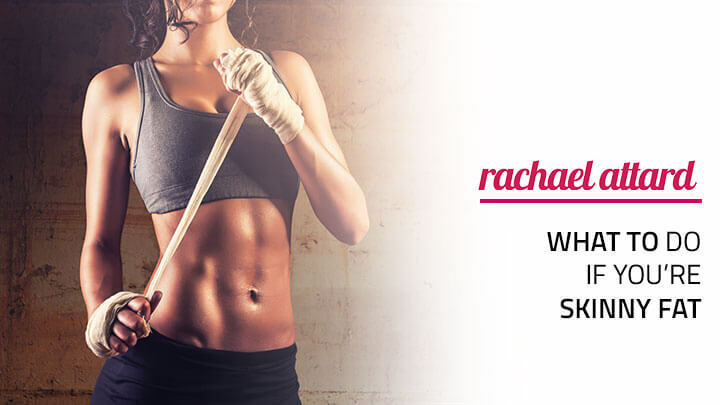 My program includes a full workout and nutrition program which will help you get a lean and toned body, and get rid of your skinny fat body forever. And because all of us are different, I have created separate programs for each of the 3 main body types. Hi I’m 19 5”6 125 lbs and pretty happy with my weight but really want to lose the extra belly/visceral fat that is above and below my belly button as well as my love handle sides. I also notice a significant variation between my thigh sizes and feel like my calves are too muscular. What tips do you have that I could tighten up my tummy and inner thighs? As well as making my calves look skinnier? Our Program is an 8 week workout and nutrition plan designed to help you get lean and toned without bulking. Getting rid of belly fat is almost 100% related to your diet. The only way to get rid of this fat is to lose overall body fat which is done through consuming less calories than your body uses (eating at a calorie deficit). As for the workouts, any type of resistance training helps, but generally HIIT gets the quickest results. High intensity cardio such as running also helps a lot. My BMI is average for someone of my age, gender and height. My arms are small in size, my legs probably small or average. I’m not like most other girls/women. I’m under 21 and am considered skinny fat and my bit of extra body fat is in the stomach/belly- it sticks out as a result. I tend to eat a hefty ton of brown rice pasta, dates, dried figs, and 100% fruit juices (no other added ingredient other than the fruit or fruits listed) on a daily basis. Just wondering with a belly that sticks out, even when considered small and have a normal BMI isn’t that the type of fat called visceral fat? I’ve heard it’s because of visceral fat is the reason a belly would stick out (no matter your weight). Just wondering if that is true. That is in fact visceral fat, but it’s more typical for men. So if you’re eating healthy and working out but still don’t see an improvement, I would recommend checking your hormones. I am a 63 year old woman, 5’4″ and I think now less than 115 pounds. I’ve yo-yo’d with my weight all my life, but this is the thinnest I’ve ever been going on several months now. But I am still flabby with crinkly, saggy skin on the usual areas. I workout 5 days a week, alternating workouts every other day, and then every month I change it up, too, though it’s always body weight and light weight exercises at home. I also go for a walk after (20-30min), I can’t run anymore, and every other day I do walking lunges, 4 sets of 20, and 2 sets of 10 (warm up and cool down), and 4 sets of toe raises after the lunges. I’m delighted with my progress and look fantastic in clothes, but not so much without. I can’t seem to get rid of the flab no matter what I do. I also eat pretty well, too, though I do have a little sugar (chocolate) in the evenings. I’ve cut a lot of foods out of my diet due to IBS and other digestive issues, and intermittent fasting (15-16hrs) every evening-morning. I eat breakfast (avacado, egg, fruit, rice cakes, herbal tea) after my workouts and one other meal in the late afternoon/early evening, lowish carbs with meat and veg, and drink water, though maybe not as much as I used to and should, though I try to. I take the weekends off from exercise now. There are some things I can’t do for exercise, I think HIIT is one, running is another, situps and crunches are out, too, because of my back. I need low-impact cardio, and good resistance training, but I have limited equipment and can’t afford any more. So what do I do to get rid of the flab? Cutting out any more in my diet will leave me with next to nothing to eat. I also have Hashimoto’s. Resistance workouts are the best for toning up. You can find a lot of them on our blog or YouTube channel. I would recommend lifting some light weights and slowly increasing the weight over time (you can also use resistance bands). Your diet seems good so I wouldn’t suggest eating less (1200 calories per day is a minimum to stay healthy). There are also some aesthetic procedures that may help tighten your skin and improve collagen, but I haven’t tried them personally. I am 40 years old, I struggle with chronic Lyme, Hypothyroidism, internal mold issues, several food allergies and sensitivities and pelvic congestion syndrome. I have been “working out” for the last 11 years and have gone from being 178 lbs to my lowest now of 110lbs. (I am 5’8.5″) I workout 6 days a week alternating between heavy weights upper and lower body 3 days a week and cardio the other 3 days. I also walk daily 3 to 5 miles and when the weather is nice I bike 3 to 15 miles daily. I am also flabby, like it grosses me out to look in the mirror. Its like the thing you cannot “unsee”! I also fast daily the 16 to 17 hour fast from lunch/dinner day prior to breakfast. Then only eat twice a day – but big meals. 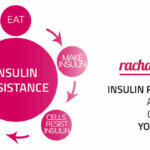 I am only able to eat whole unprocessed foods and about 10 different foods that I try to rotate. Lifting heavy for me is NOT building any muscle at all. Thank you for these articles. I have always naturally been either underweight or at the very lower end of the normal range, but I am extremely pear shaped, so while my arms and torso look very thin and sickly, I have a lot of fat on my thighs. Because of this, I tried to lose even more weight (“it has to start going off the legs at some point, right?”), but it didn’t help at all. Everyone says you have to put on muscle if you’re skinny fat, but I was scared it would make my legs even bigger. I felt very stuck – my BMI is now too low to lose more weight and it’s not even helping. 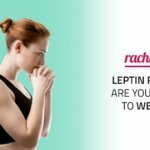 This article gives me hope that maybe it is possible to get rid of the fat without losing weight or the risk of getting bigger after all. I’m currently at 50 kg, 175 cm. Is there anything specific I need to keep in check at such a low body weight besides eating enough?